JEREMIAH BULLOCK was born in Twin Falls Idaho and relocated with family to the Treasure Valley in 1987. He graduated from Kuna High School in 1998 and was drafted to the Texas Rangers Baseball Organization as a left handed pitcher. Jeremiah has lived in the Treasure valley for 25 years and loves everything the area has to offer from outdoor recreational activities to the friendly small town feel of its citizens. 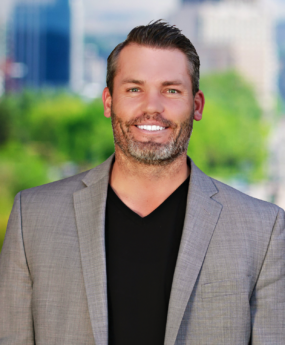 Jeremiah has experienced many areas of real estate including land development, construction and 6 years as a nationwide Loan Originator with consecutive years as a Platinum Circle of Excellence award winner. He is passionate about the success, friendships and relationships he has built along the way and enjoys the opportunity to work with new people daily and build lasting friendships. He has a wife and 3 children and is involved in their lives with sports, school and community activities.